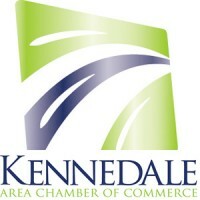 The Kennedale Chamber of Commerce is a nonprofit membership organization that serves as a voice for the business community and a catalyst for increasing investment and employment in the Kennedale area. We are a growing organization with a respected voice that enhances the economic vitality and image of the community. Our mission is to meet the needs of our members by fostering a vibrant business environment through communication, education, advocacy, and retention. Over 150 members strong, we’re constantly looking for new ways to engage the community, helping our businesses thrive and grow.